What would you do if you led the charge for driving brand awareness and engagement for Canada’s leading not-for-profit focused on girls? 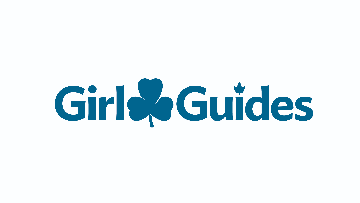 Girl Guides of Canada (GGC) empowers girls to be everything she wants to be. Guiding is where a girl can shine as she takes the lead, explores new challenges and meet the most important person in her life, herself – all with the support of girls and women who will be by her side every step of the way. The result? Girls who are ready to navigate the world as leaders and goal-getters. Her next adventure starts with Guiding, does yours? If you have a passion for developing brand strategies with powerful visual identities that are consistently used across an organization and thrive on building engaging multi-channel marketing campaigns with ambitious goals, while working with a team of highly driven and committed colleagues who are putting the girl at the center of everything they do, this is the opportunity for you. GGC is actively searching for a Brand Manager. This highly collaborative role reports to the Senior Manager, Marketing & Communications and has responsibilities for line management. Target start date for this position will be February 2019. Girl Guides of Canada-Guides du Canada (GGC) recognizes and values the richness of human diversity in its many forms, and therefore strives to ensure environments where individuals from all walks of life, identities, and lived experiences feel a sense of belonging and can participate fully. This commitment to inclusion means our culture, programming, and practices encourage self-awareness and awareness of others; room for difference; and environments where individuals feel safe, respected, supported, and inspired to reach their potential. Upon request, Girl Guides of Canada-Guides du Canada will make available reasonable accommodations for persons with disabilities during the recruitment process. Accommodations requests should be made in advance.